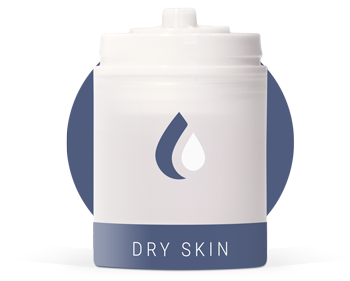 Provides the perfect hydration for your skin type, as well as your chosen texture. In addition, you can add Sun Protection Factor and choose between the "nature" (100% natural ingredients) or "lab" ranges (combining the best natural and laboratory ingredients). Choose from a range of bases depending on your skin type. We have a range of bases with different textures for each skin type. Giving your skin the hydration it needs with a texture you prefer. We have designed a catalog of bases for each type of skin. Use the hydration you need at every moment. Use the one you like the most, at every moment. For example, a light daytime texture and a nourishing one to repair and deeply moisturize your skin while you sleep. The sun is one of the main causes of skin aging. Use our SPF bases to protect your skin. with the most advanced safe synthetics ingredients. The best of both worlds combined. In Lesielle you won't find phrases like "for all skin types" or "for mature skins". Are all mature skins supposed to be the same? For this reason, each base clearly indicates to which one it is addressed to. This type of skin is characterized by producing less fat than normal skin. The fat helps to retain moisture and protects the skin against external aggressions so this skin often presents a low hydration level. Maximum hydration: you can use the richest bases (higher levels of oils and fats) along with ingredients that increase skin water retention. Generally called normal or eudermal skin, this type produces by itself a quantity of balanced fat. Normally, it has a correct hydration level. Medium hydration: Gives your skin a balanced nutrition and protection with our special bases for normal skin. Combines daytime creams (lighter) with night creams (more nourishing and protective) for perfect skin condition. This is a combination of two skin types: oily in the T-zone (forehead, chin and nose) and normal or dry skin in cheeks area. 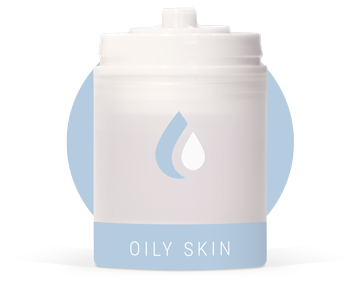 Moderate hydration: as this skin has some oily areas, you should mainly use ingredients that help retain water inside your skin rather than providing oils. Our special bases for combination skins will help you to moisturize while avoiding overloading the fatty areas and magnifying the shinineses. This type of skin is characterized by producing an excess of fat and it is usually identified by the presence of shiny areas. It can also present dilated pores and it has tendency to present imperfections like blackheads and pimples. Very light hydration: using bases with ingredients that contribute to water retention without providing oils or butters and magnifying the shinineses. Lighter and soft bases during the day for a living and dazzling skin. Also available with SPF. Richer and more nutritive bases to take care and repair your skin during the night. In winter, weather conditions can be hard for skin, especially in snowy areas where the air is very dry. A more protective and nourishing base can help your skin stay in good condition. In summer or warm areas, you may like to use lighter bases as they are more refreshing. In addition, you can use a base with SPF to help prevent photoaging. By removing fragrances, we have been able to reduce allergies and intolerances and increase skin compatibility.